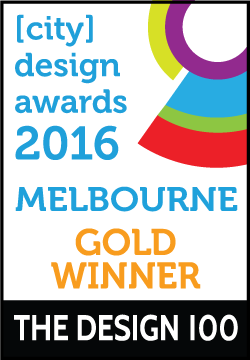 Evolution 7 is an award-winning digital agency based in Cremorne, Melbourne. We needed a larger space, and we wanted to create a beautiful, inspiring space that people would enjoy coming to every day. 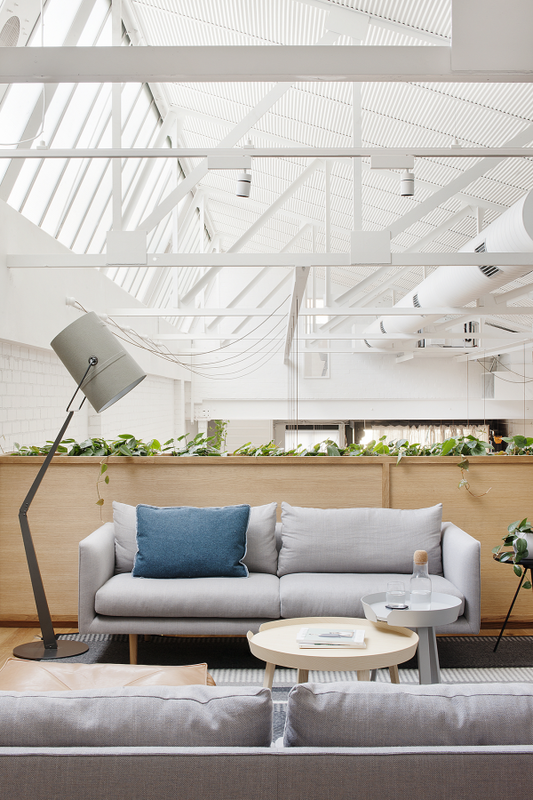 Starting with a brick and concrete warehouse shell, the space underwent a complete transformation resulting in a luxurious and creative environment that exudes warmth, light and character. We have experienced rapid growth in recent years and require a larger premises to expand into and house the studio for the next few years. 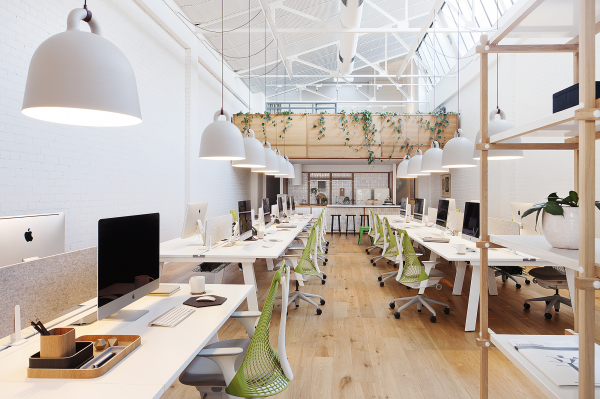 We wanted to create a beautiful, inspiring space that people will enjoy coming to every day; a creative environment where our people, who come from a diverse range of backgrounds and cultures, come together to collaborate on innovative projects. In keeping with our culture we want to emphasise a warm & inviting, non-corporate environment. Upon entering the space we want visitors to feel a sense of wonder, inspiration and calm. It should be a beautiful & inspiring place to work in, with the warmth and character of a residence rather than an office. It should have a balance of different spaces; from the open plan work area to the cafe/breakout zone, through to the boardroom and the more informal meeting rooms/booths, which can be used for internal or external meetings, a quick chat, or perhaps to escape from the hustle and bustle of the floor. 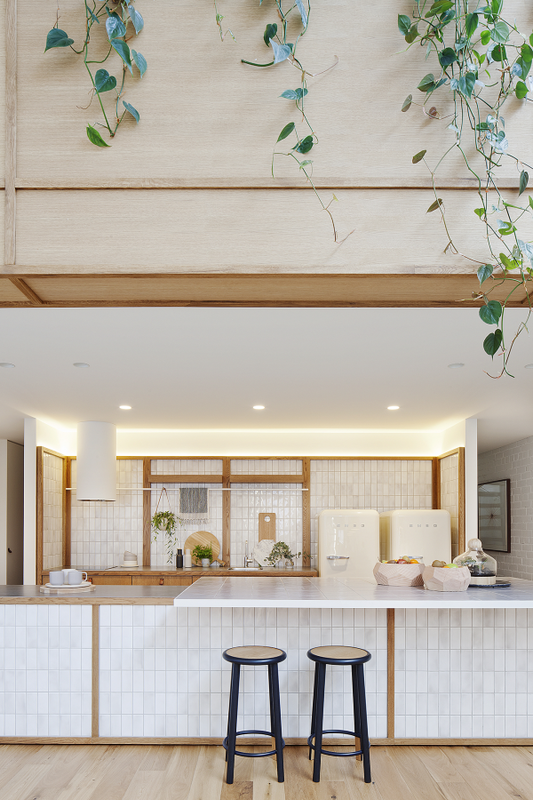 The Cremorne studio is a striking, light-filled space with both an immediate warmth and a sophisticated allure; it simultaneously both welcomes and invites to explore. The soaring white volumes of space criss-crossed with a polar expanse of trusswork and supporting lines of elegant bell-shaped lights evoke an almost cathedral-like atmosphere. No detail has been spared, with an expansive kitchen and breakout area worthy of an upmarket home. Lounges and meeting areas are lovingly detailed with soft furnishings, and a sophisticated palette of oak, felt and light greys. Everywhere, the winding tendrils of a veritable jungle of plants weave touches of leafy green life throughout. 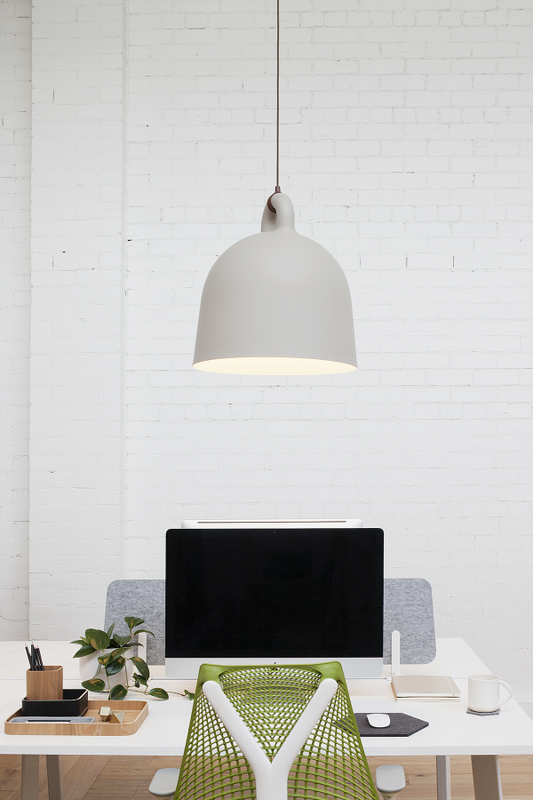 In an era where so many corporate fitouts are dominated by the gimmickry of slides, ping-pong tables, garish murals and the ever-present inspirational quote, the Cremorne studio is a breath of fresh air. This is truly an outstanding and sophisticated space that sets the benchmark for others to follow. 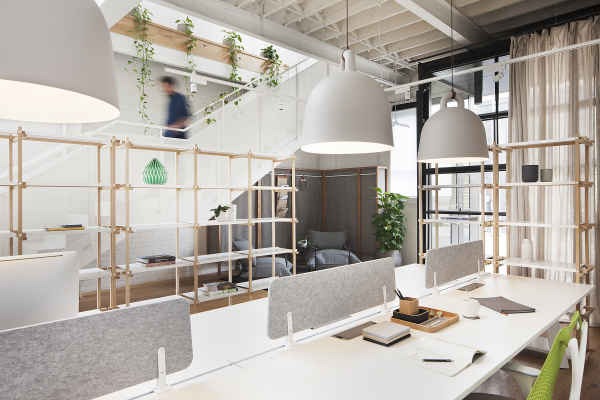 For an agency with a leading reputation for user experience, the physical space is truly a home for creative collaboration and inspiring work. The design challenge was in balancing the criteria for the project whilst keeping a balance between form and function; the warehouse shell provided a significant volume to work within, but a limited budget provided some challenging constraints. Achieving a balance of work space, formal and informal meeting areas, generous kitchen and breakout space and more required careful planning and iterative design thinking as we worked closer to a solution. The creation of a rear pavilion inside the space was critical in providing extra space and zones, whilst being careful not to cut down on the beautiful natural light filtering down from above. The selection of an oak floor was another key choice; despite using an appreciable portion of budget for such a large space, it provided a high degree of sophistication and warmth that underpins the whole space. Finally, we had to make the space a white canvas; with the key design principle in mind of “only draw attention to that which is a feature” we were fanatical about rendering everything - including lofty trusses, ceilings and ductwork - back to a polar white, which helps create the feeling of extraordinary light and space. 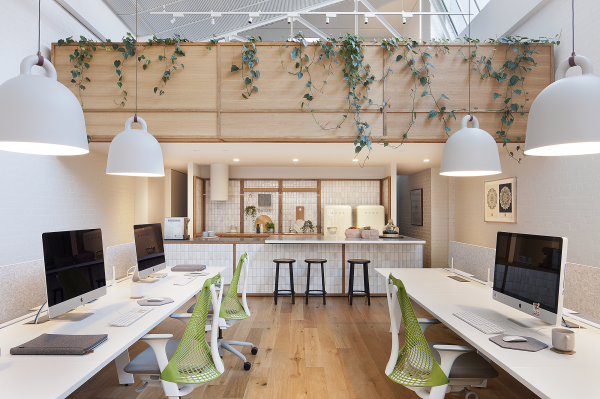 Our approach to sustainability on this project covered both the use of materials, the construction methods, work spaces and the energy efficiency of the studio. Solar panels were installed on the roof with a feed-in inverter, so a portion of the studio’s power is sourced directly from solar. Plans are underway to connect a Tesla Powerwall to this system for additional battery storage. The space is constructed in such a way as to maximise the use of natural light; which together with the ambient white of the space provide enough natural light during most days to make other lighting unnecessary. All lighting throughout is low wattage LED. 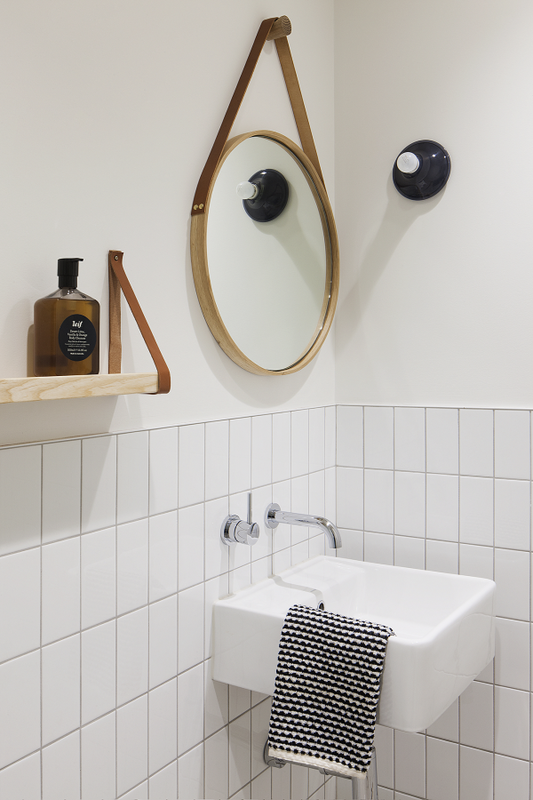 Flooring was constructed from Harper and Sandilands engineered oak boards, which are sourced from FSC plantation timber . Engineered flooring is much more sustainable than traditional hardwood flooring due to using substantially smaller volumes of material. Additionally, key space near the entry was made for bicycles, which are the preferred mode of transport for many staff, plus showers and lockers for changing clothes.